Part 3 – "Make The Ask"
After you have "Done Your Homework", it is time to ask for the pay raise. Before I review that part, I want to share a couple of things to think about. If you have ever ridden on a jet, chances are you have picked up the airline's magazine and seen the advertisement from Dr. Chester Karrass for negotiating seminars. There is a brilliant statement that stands out to me every time I see that ad. His statement? You don't get what you deserve. You get what you negotiate. Ponder on that thought for a minute. It is important to understand that many things are negotiable including pay, benefits, time off, work location, and work hours. As you prepare to ask for the raise, be sure to decide on what you will ask for. Remember that this is a negotiation. Negotiating means that there will be give and take. So now you have done all of your homework and decided what you are going to ask for. It is time to take a deep breath and have the conversation with your manager. Each time I have had this discussion, it has been a sidebar discussion and not a planned meeting. Present your case clearly and succinctly. I presented my case in less than three minutes every time. Be CLEAR with your requests. Do not make threats such as "Give me this raise, or I am leaving to the competitor." You can make statements (if they are true) such as "This request is very competitive with the marketplace." A manager will quickly understand that you have done your homework. Your manager will probably not be able to give a raise immediately and will have to discuss with his/her superior. This will take a little time. After you have made your case, SHUT UP! You have said what you needed to say. Let there be silence. Silence is golden. When the meeting is ending, ask when you can expect to receive a response. When the meeting is completed, take thirty minutes to write down everything that was discussed in the meeting. This will allow you to review what just happened and can be helpful later when trying to recall exactly what was talked about. 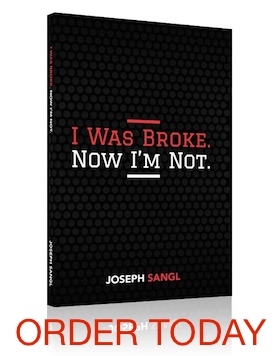 This is Part 3 of a series featured at JosephSangl.com – "Negotiate A Pay Raise"
Great post – thanks for your hard work on a somewhat difficult subject.